One of the most iconic and influential guitar and bass brands in history has got to be Rickenbacker Guitars. I mean, how much more popular and influential can it get than using what The Beatles played? 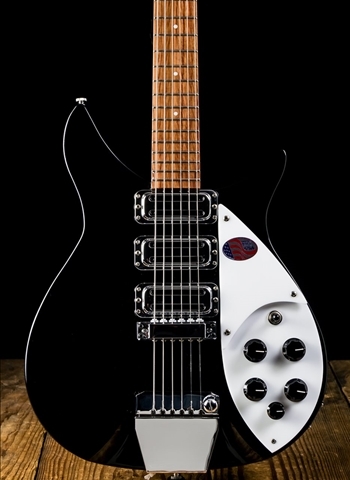 Rickenbacker, although possibly known slightly more for their basses, also produces some of the most high-end and classic guitars in the industry today. 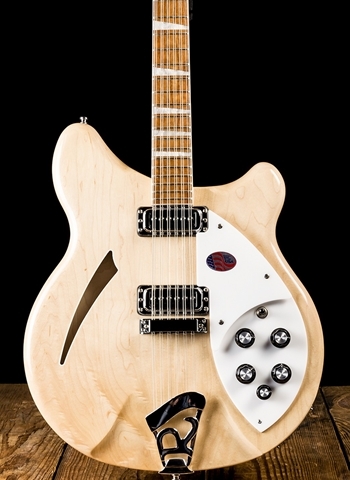 Rickenbacker is also one of the only produces of 12-string electric guitars which icons like Tom Petty, Jimmy Page, and countless others made use of throughout their careers. 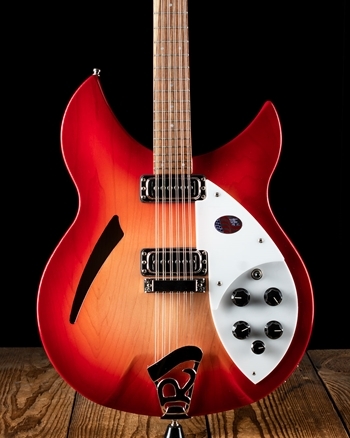 We are one of the only dealers of Rickenbacker instruments in the entire region, so for any of your Rickenbacker needs N Stuff Music is the place you need to shop. 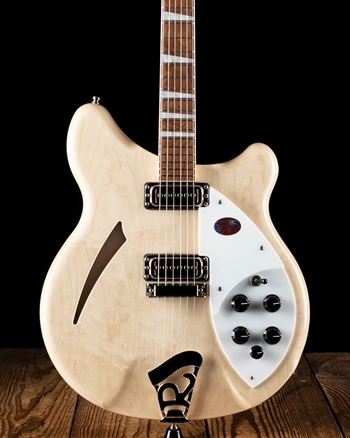 You cannot beat Rickenbacker's for their ability to embody that classic vibe of old school electric guitars. Their retro look and semi hollow sound makes these instruments guitars that don't stay on our wall for very long as people love these instruments for their classic vibe and rich sound. 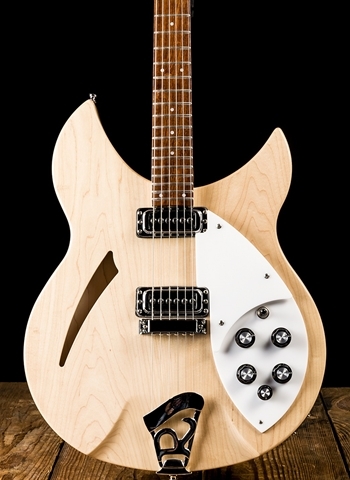 The semi-hollow style of Rickenbacker guitars gives them a unique tone all to themselves that is unlike any other brand of hollow instruments. Combined with Rickenbacker's single-coil pickups these guitars can get either warm or glassy cleans and have the ability to cut through or supply a full-bodied clean sound. Are you looking for a 12-string electric guitar? You have arrived at the right place. 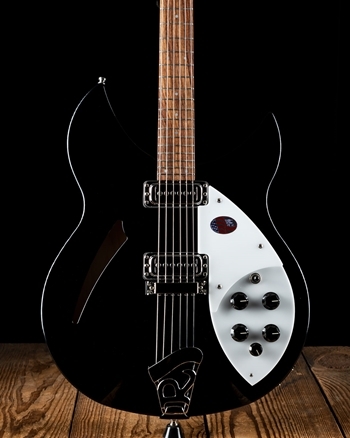 Rickenbacker guitars produce some of the most sought after 12-string electric guitars in the industry today. Few companies provide a 12-string guitar option let alone a high-end version of a 12-string guitar. These provide all of that wondrous and chorus 12-string sound. 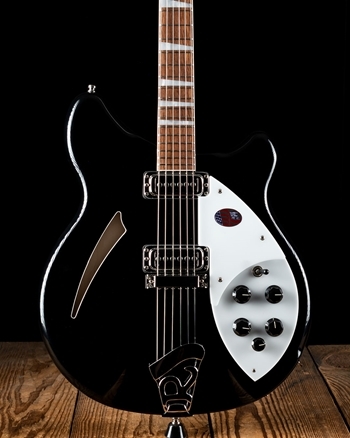 Rickenbacker guitars come in a set of totally unique and classic finishes whether its jetglo, fireglo, or mapleglo, these finishes are totally unique to Rickenbacker and they are unlike any other brand in the industry today. 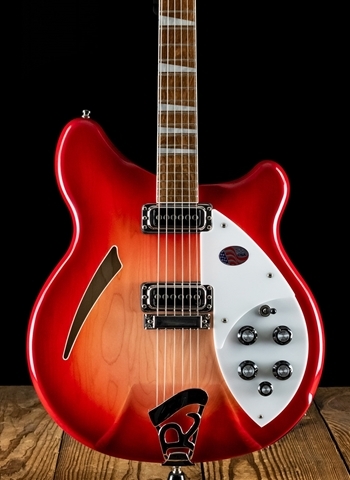 Don't be fooled by the classic appearance of Rickenbacker instruments because these guitars are among the most versatile in the industry because of the capacity for tone selection that they have. Rickenbacker's will also overdrive well with a quality tube amp or overdrive and you'll find that in a heartbeat you can get that classic crunch from the 60's and 70's. 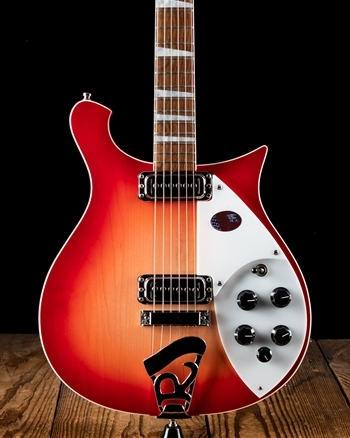 What players play Rickenbacker guitars? We don't know where to even begin… George Harrison, John Lennon, Johnny Marr, Tom Petty, Paul McCartney, Pete Townshend, Joe Walsh, The Edge, and countless others. N Stuff Music is one of the only dealers of Rickenbacker guitars in the entire region so for any of your Rickenbacker guitar needs you know this is the place you need to shop! 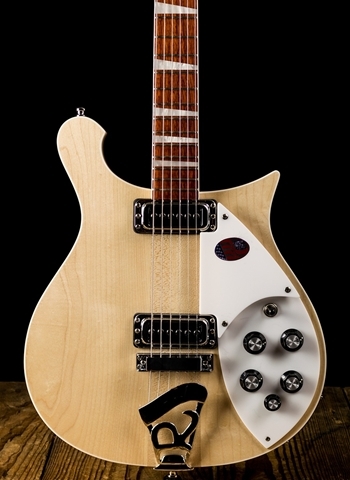 Rickenbacker guitars are iconic U.S. made instruments that are known for their classic vibe and sound and for the timeless music that they have created. Contact us today at N Stuff Music and we will be sure to guide you down the right path to finding the Rickenbacker guitar or bass that will surely fill your musical needs. Thanks for visiting our website and for shopping at N Stuff Music!